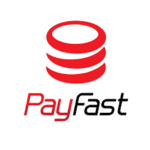 We’re an all-inclusive e-commerce marketplace.  Hoorah consists of hundreds of independent vendors and thousands of customers. 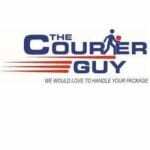 We guarantee fast delivery of products through a unique system, or else – 100% money back. Development – Everyone know’s that online is the way to go. However, setting up your own online store can be super expensive, especially if developers know that you’re not familiar with pricing options for software development. Even if you happen to find an online platform that offers “all inclusive solutions”, you’ll end up paying them monthly fees. Then comes domains, hosting, security, artworks and all the bells and whistles. Marketing – Online marketing can be a daunting and expensive part of your e-commerce business. Different platforms make it easy to integrate and make use of them. From Google Adwords, social media, blogs, etc. you can really find enough exposure. However, if you do not know what you’re doing, or don’t get a professional digital marketer – you’ll end up losing your whole marketing budget without getting a single conversion into a sale. Yup, it’s that bad. Shipping – External shipping accounts are needed in e-commerce as it’s nearly impossible to deliver nationwide within the timeframe that will keep your customer happy. Shipping accounts can become an expensive part of operational costs, especially because multiple accounts are often needed to provide the best possible shipping rates to your customers. Security – Without proper security measures on your e-commerce website, customers won’t support you. A dedicated team of engineers are often required to constantly do security hardening and track suspicious activity. …then developed an all-inclusive solution. 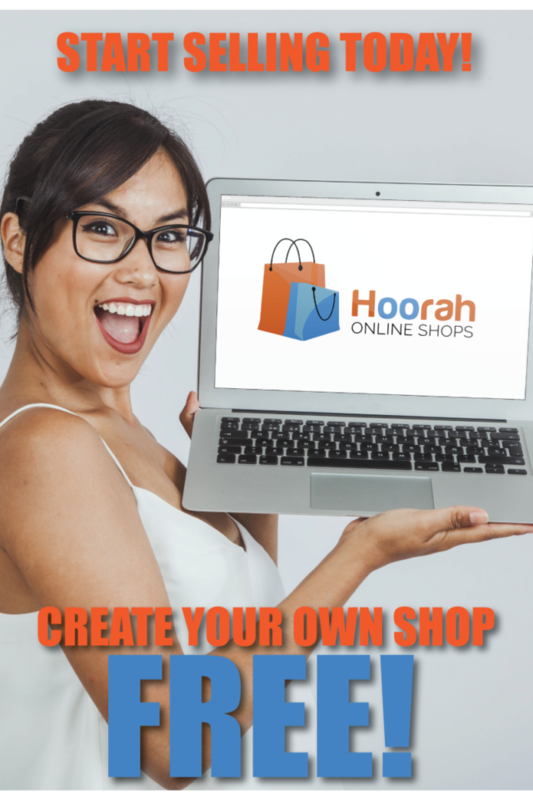 We’ve done all the hard yards, you can start an online shop within 5 minutes for absolutely free on Hoorah. We run massive marketing campaigns on all credible platforms from Google Adwords, Facebook & Instagram, PriceCheck and more. 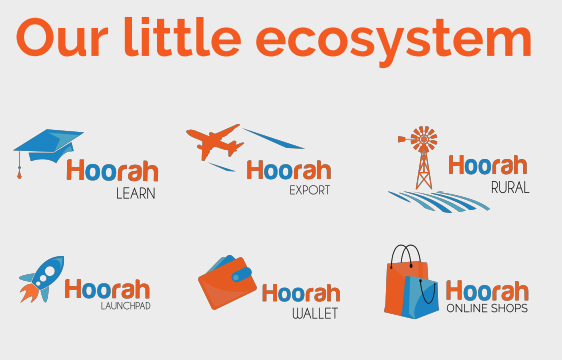 The marketplace effect on Hoorah is massive, as customers often purchase different items than what they came for. 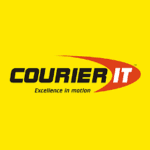 We’ve got GOLD shipping accounts at CourierIT, DawnWing and CourierGuy to ensure the best possible shipping rates to make customers more prone to buy. We’re constantly upgrading security measures to scale with our platform. All transactions and personal details entered on Hoorah is highly secure as we also comply with the POPI Act. We’ve been identified by the Alibaba Group as one of the top 30 most promising startups from Africa! We’ve learnt the ways of the e-commerce giants at their HQ in Hangzhou, China. We believe in empowering entrepreneurs and acknowledge that it stretches further than just online infrastructure. We’ve developed multiple platforms to scout, empower and develop entrepreneurs.